Why doesn’t Asia influence world shipping more? Is MLC working for seafarers? Trieste, the skeleton in the closet? 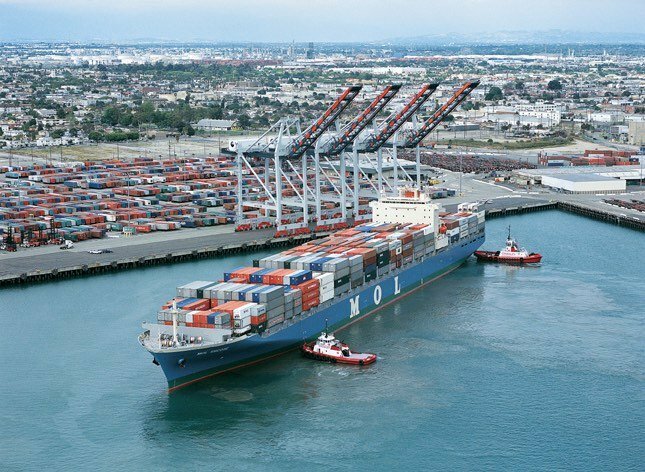 A US Congresswoman is backing local residents’ calls for independent monitoring of the Port of Los Angeles on its anti-pollution activities, according to the LA Times. Concerned groups demanded the restoration of a citizen oversight panel after it emerged on Tuesday that corners had been cut for years on observation of environmental laws at the port’s China Shipping terminal. Now Janice Hahn, a Democrat Representative for the San Pedro district, is lending her weight to constituents’ case, expressing her alarm at the flouting of the law and the port’s failure to tell the community what it was doing. In 2004 the port signed up to observe anti-pollution requirements in a deal with environmentalists and homeowners. But Tuesday’s reports revealed that those standards had been bypassed since 2009 as port administrators allowed China Shipping, which was building the new terminal, to sidestep certain conditions. This meant China Shipping had the green light to ignore measures designed to reduce harmful emissions from diesel-powered trucks, container ships and cargo-handling equipment at its terminal. Congresswoman Hahn railed against the violation of trust by port administrators and backed the call for reinstatement of the Port Community Advisory Committee in order to keep the port accountable. The Committee – comprising homeowners, businesses, labour leaders and environmental activists – had been dissolved two years ago. San Pedro is the 44th Congressional District of California, covering South Los Angeles and the Los Angeles Harbour region. With 28 years experience writing and editing for newspapers in the UK and Hong Kong, Donal is now based in California from where he covers the Americas for Splash as well as ensuring the site is loaded through the Western Hemisphere timezone. "Shipping needs to learn to celebrate failures from innovations, and to learn from such failures"
What percentage of the global fleet will be non-compliant during the first year of the sulphur cap? Can money still be made in shipping by flipping ships? Kapil Kekre on Why doesn’t Asia influence world shipping more? © Asia Shipping Media Pte Ltd 2018. All rights reserved. SG.